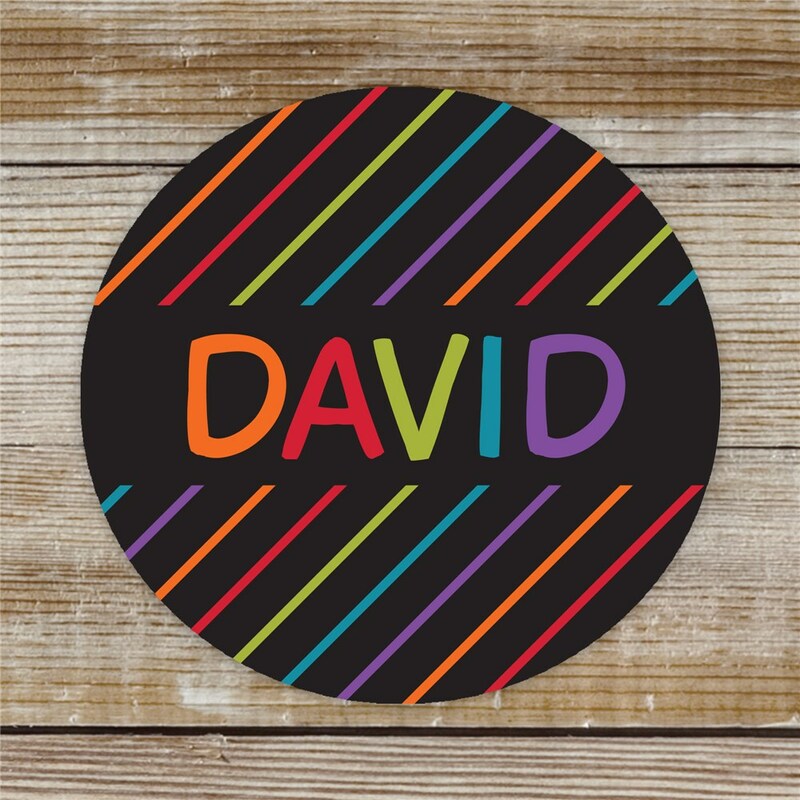 The kids will love to decorate their school things with these festive Personalized Stripe Kids Stickers! Each packet of these great school stickers may be personalized with any name. Makes a great addition to your children's Personalized back to School Supplies!